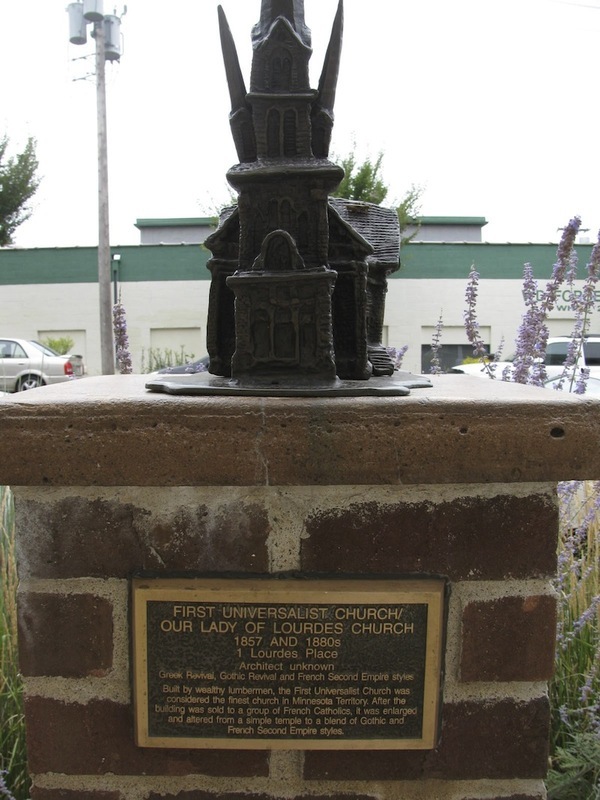 Churches provided important spiritual, cultural and community connections for settlers who came from different parts of the country. Several that were founded shortly after the town of St. Anthony was established still survive. One such church, now known as Our Lady of Lourdes, was originally home to the First Universalist Society of St. Anthony. 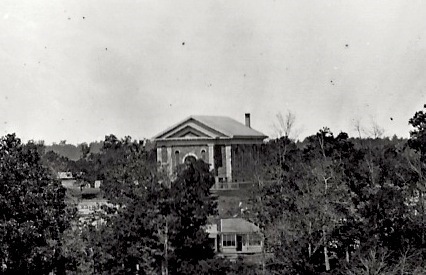 Built in 1857 as a Greek Revival-style temple by a group of prominent residents from New England, the 67 x 44 foot church was considered the finest in the Minnesota Territory. In 1877, a group of French Canadian Catholics bought the church and more than doubled its size, altering it from a simple temple to a blend of Gothic and French Second Empire styles. They also added a mansard transept and apse, and eventually a steeper roof, creating a second-floor home for the church’s choir. A bell tower was added to house a one-ton bell acquired in 1881, and in 1882-1883, a 138-foot-tall Gothic wooden steeple was also added. Finally, in the late 1890s, the sacristy, vestibule and outside steps were added. Beginning at about the same time, stained glass windows were also added—one pair at a time. These changes disguise the structure’s original appearance, making the church resemble the French provincial styles found in Quebec. 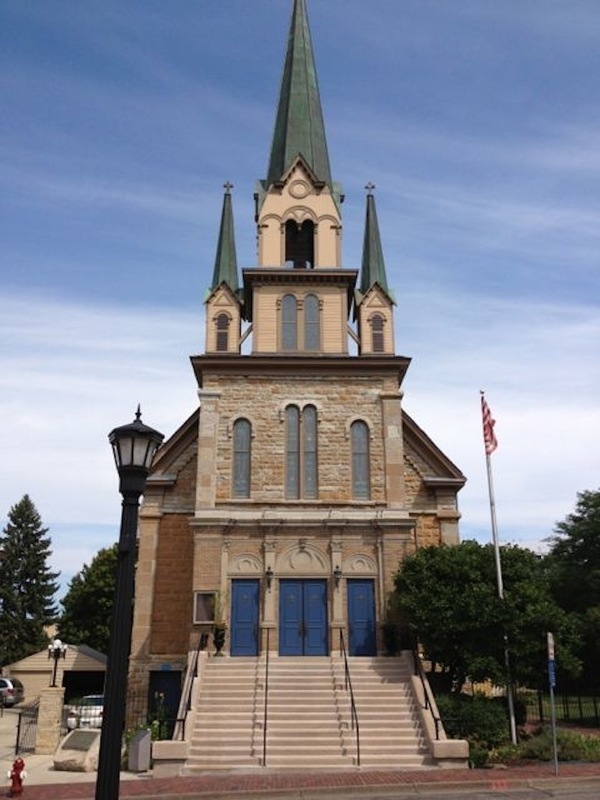 Marcy-Holmes Neighborhood Association, “First Universalist Church/Our Lady of Lourdes Church (1857 and 1880s) ,” Minneapolis Historical, accessed April 22, 2019, http://minneapolishistorical.org/items/show/89.